Young Women Baseball Players on the Rise in Japan. The numbers of high school and universities which have women’s baseball teams are increasing in Japan. 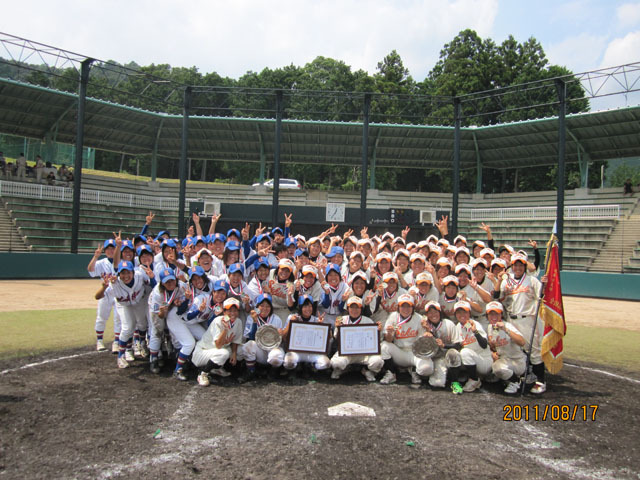 In August, Saitama Sakae High School won the 14th high school national championship” participated by 7 high school teams, and Team Hanasaki Tokuharu in Saitama Prefecture got the pennant of the 2nd 18U Championship participated by 22 teams, some of which had players as young as 12 years old. For the Women’s University Championship of rubber baseball, Nippon Sport Science University took the top spot for 2 consecutive years, their 15th, over Japan Women's College of Physical Education 7-3.